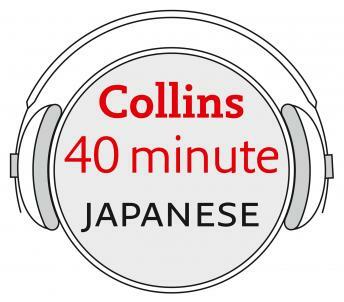 Listen to "Japanese in 40 Minutes: Learn to speak Japanese in minutes with Collins" on your iOS and Android device. Essential words, Asking for things, Numbers, I'd like ..., At the café, In a shop, Basic foodstuffs, Quantities, Tickets, Where is ...? When is ...? Days of the week, Problems, About yourself.